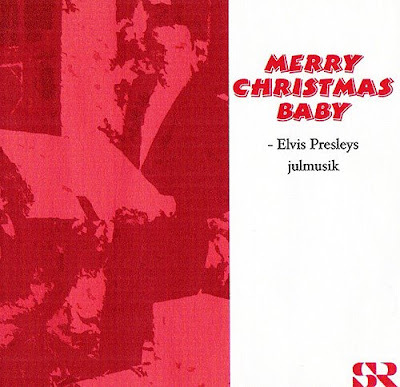 This week was a slow one Elvis wise for me, as my work took me to Stockholm where I spent long days talking to and meeting colleagues who, just like me, work with the Swedish Radio's website. 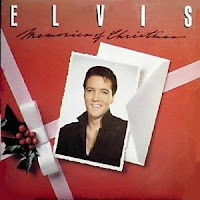 But Elvis wasn't totally absent. During one of the meetings, which took place in a room located in a corridor where P2, the classical music channel is situated, I spotted some old books on a shelf. 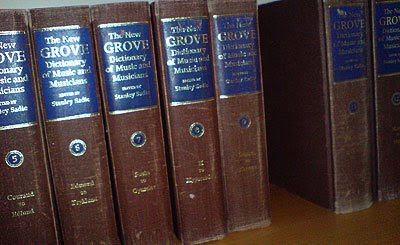 So, when my colleagues went to get some coffee, I took a closer look and saw that it was The New Grove Dictionary of Music and Musicians, printed in 1980. A lot of the entries dealt with classic composers and artist (apparently it was first published back in 1878). But for the fun of it I searched for and found, an entry about a certain Presley, Elvis (Aaron), written in a rather technical way. For example, it stated that "His voice covered two and a third octaves, from G to b", with an upward extension to d''' in falsetto." PS: During another coffee break one of my colleagues played an mp3 file for me on her mobile phone. Turned out it was Elvis related in a way, too. It was a very funny version of Also Sprach Zarathustra, and you can hear it here. I think Elvis would've cried with laughter, I sure did! Looks like the upcoming FTD release I'll Remember You hasn't been released before, after all. 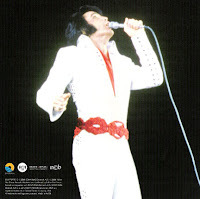 According to ElvisNews.com the Danish fan club Elvis Unlimited has confirmed with Ernst Jorgensen that the album will contain the midnight show from February 3, 1973 and not the dinner show, that has been bootlegged twice. 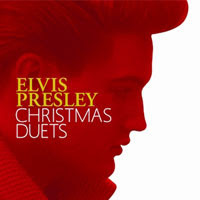 Furthermore, as Elvis only sang "I'll Remember You" at the dinner show and not at the midnight show the song is included as a bonus song on the new FTD release. 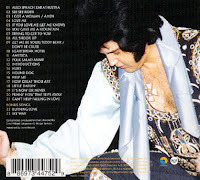 And finally, Ernst also told Elvis Unlimited that not only was Elvis in great spirits for this show, but also that the sound quality is outstanding on this release. 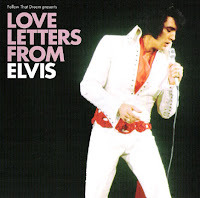 That is certainly good news, as I think Elvis sounds uninspired and tired on the dinner show, keeping his talk to a minimum (altering between "thank you" and "thank you very much" after the songs) and just going through the motions. A while ago Mike Edwards over at the Have A Clambake! blog wrote that it's been a long time since he took a look at an Elvis movie, and was gonna watch Spinout and write about it. As it was a long time since I saw one, too, I asked him to tell me which one I should watch, and then I would write about it. Turned out he wanted to hear what I think of Fun In Acapulco, so this afternoon I sat down in front of the television, dimmed the lights and watched my DVD copy of the movie. 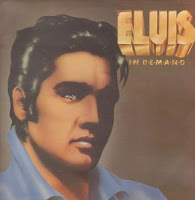 It brought a lot of memories, as this was one of few Elvis movies shown on television when I was a kid. Actually, I think it was Fun In Acapulco and Paradise, Hawaiian Style that was shown regularly in those days, so I guess the TV company (Sweden only had one back then!) had a deal going where they could screen these two quite often. "You know the one where he dives of that cliff" or "the one where he flies a helicopter full of dogs" were expressions that I remember using when describing what Elvis movie I'd seen. 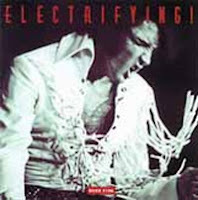 You all know the story: Elvis plays Mike Windgren, a trapeze artist, who tries to forget a tragic accident where his brother was killed. In Acapulco he's a busy guy: he become friend with an orphaned Mexican kid who becomes his manager, he works as a singer during the night and as a lifeguard at night, and is attracted to two ladies. In the end he dives from the highest cliff, thereby overcoming his morbid fear of heights. Along the way he also sorts out his love life (he's in love with Margarita (actress Ursula Andress, no less) and decides to move back to Florida where he will become a member of The Flying Windgrens family act again. I enjoyed watching the movie, and though it's nothing like Jailhouse Rock (Richard Thorpe directed both of 'em) I think it works reasonably well for what it is: a lightweighted film with a lot of music, a lot of romance, and a lot of scenic color. But, speaking of the scenery, the one thing I've never liked with Fun In Acapulco is the fact that a stand-in for Elvis was used in all the scenes shot in Acapulco. 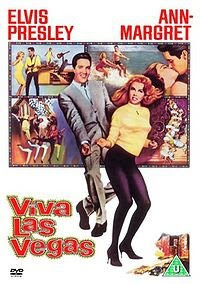 In fact, all of Elvis' scenes took place in Hollywood, while his co-stars seem to have visited Mexico for the film. 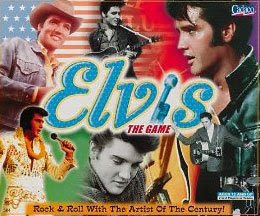 This is painfully clear if you look at the stand-in who doesn't look at Elvis at all (check out the scene before the "(There's) No Room To Rhumba In A Sports Car" number, for example). From the energic opening cut of "Bossa Nova Baby," through the intoxicating Tijuana sweetness of the horn players on "Marguerita," to the Spanish flavor on cuts like "Guadalajara" and "The Bullfighter Was A Lady," the recordings are a triumph of sound and atmosphere. So there you have it, my thoughts on Fun In Acapulco. If you want to dig deeper, you can read my earlier postings about the songs "Mexico" and "Guadalajara." 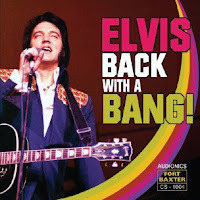 It seems the upcoming FTD release I'll Remember You from Las Vegas, February 1973 is stirring up a lot of feelings, at least among the readers of ElvisNews.com. The problem seems to be the show is the same one that has already been released on bootleg two times, first as It's A Matter Of Time back in 1993 and then only last year under the title Vegas Rhythms. One reader, for example, writes that it's an insult to fans who have already bought this concert two times, and that Ernst Jorgensen isn't the right person to lead the FTD label. Another one thinks it's a very stupid move by FTD while a third says that Ernst isn't suitable for the job. Harsh words, indeed. My thoughts on the subject are these: I think many of those who criticize Ernst are die hard fans who buy every FTD release and also own a lot of bootlegs. Because they collect everything FTD offers, they get upset when it turns out an album has already been released as an import record. But come on, either buy it to maintain a complete collection or just skip it! It's not as there aren't any other releases around. As for I'll Remember You, my guess is that there are no other soundboards available from this particularly Las Vegas season, and I think that's the reason for it being released instead of another show. Ernst goal (or so I've heard) is to release a show from every tour and season, so not to release this one would be a strange decision, to say the least. That doesn't mean I don't think everyone has the right to criticize, but let's do it in a constructive way. I for one think the titles are very unimaginative, and I'll Remember You is no exception. I also feel that the layout of the covers often leaves a lot to be desired. And that Ernst is using the same photo for the cover as the one used on Vegas Rhythms isn't something to applaud, either. But all in all, I think Ernst Jorgensen and Roger Semon are doing a great job. During the 10 years or so that FTD has existed over 70 albums has been released by the label. 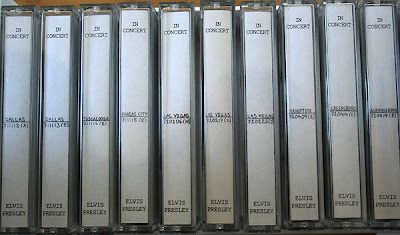 That's about as many as RCA put out during Elvis' lifetime! It's like someone wrote on ElvisNews.com (a lot of readers are defending Ernst, too): We are spoiled folks, remember that! 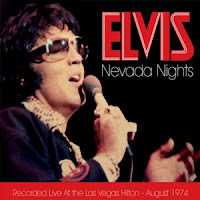 On ElvisNews.com I read that the October FTD release from the August 1974 Las Vegas engagement will be called Down In The Alley. Reactions from some of the readers are that "Big Boss Man would have been my preferred title after the new opening song for this Vegas season, but of course that name has already been used by FTD" and "No imagination these people!" This got me thinking and after taking a quick look at my FTD collection it seems to me the titles were a bit more imaginative during the earlier FTD years (1999-2003). Examples of this are Out In Hollywood, In A Private Moment, The Jungle Room Sessions and Dixieland Rocks. They all sound like classic bootlegs, don’t they? Of course there are exceptions. 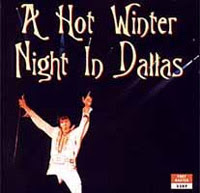 New Year's Eve is hardly as exciting sounding as its bootleg companion Rockin' With Elvis New Years' Eve, but on the other hand I Sing All Kinds, released last year, has a nice ring to it. Still, the fact is, 9 out of the 16 (I don't count the The Way It Was re-release) FTD titles in the 5" series released between 2004 and 2008 are named after a song, such as Big Boss Man, Unchained Melody and An American Trilogy. On comparison, only four of the first 23 releases (1999-2003) have a song as a title. So, is it true that "these people" (Jorgensen & co) have no imagination? Well, when one look at the titles that certainly seems to be the case. But maybe I can be of assistance. How about using a line from a song instead and naming the new FTD Just Rockin' And Reelin' (from Down In The Alley) or I Work Hard In The Evenin' (from Big Boss Man). Those sound just like classic bootlegs, don't they? 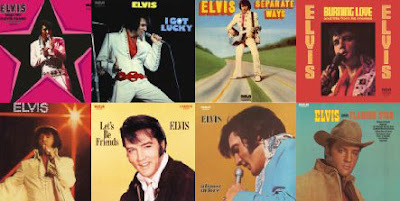 Yesterday I finally got around to renew my membership in The Official Elvis Presley Fan Club of Great Britain. If I count correctly, it was the 26th time I've done so. I remember how I became a member back in 1982. Me and my family had visited some good friends and my father was at the wheel driving home. I was sitting in the back enjoying a comic when, on the readers letter page, a picture of Elvis from the Aloha show caught my eye. 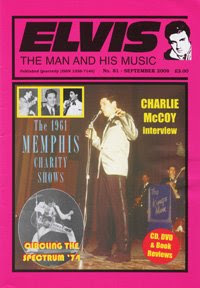 Next to the picture, one of the readers asked if there existed an Elvis Presley fan club. The editor assured the reader it certainly did, and attached the address to The Official Elvis Presley Fan Club of Great Britain. Don't know how an editor of a Swedish comic magazine managed to pull that one off, but I was quick in sending the fan club a letter telling them I wished to become a member. That's 26 years ago, and I'm still loyal to the club. I've written about the pros and cons of being a member in the British fan club before (read about it here), but the fact is I continue to pay the membership fee every year. In the beginning I had to send a postal check to do this, then in later years my credit card number. Nowadays you would expect the possibility to renew the membership on the Internet, via Pay Pal or some other online payment service, but that's not the case. I still have to painstakingly write down my credit card number on a piece of paper and send it with ordinary (snail) mail to the fan club's address in Leicester, England. 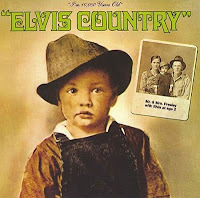 Not that this is a insurmountable operation, it's just that in this day and age people do tend to use the Internet for such things, and I wouldn't be surprised if The Official Elvis Presley Fan Club of Great Britain loses members in this way. My renewal form was on my desk for months before I got a grip and sent it in. Same story last year, and the year before that. When I became a member I remember reading that club had over 30.000 members, which I thought was an pretty impressing number. I have no idea how many there are today, but surely a lot fewer. I also wonder how many have been members for 26 years or more? In Memphis, Elvis Week 2008 is at full swing. 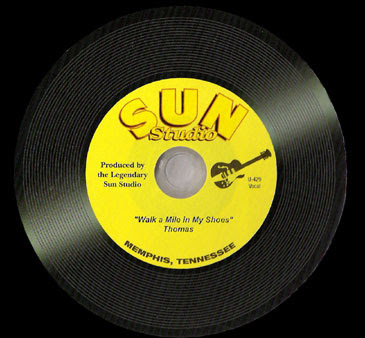 I was there three years ago, and while Graceland was the highlight of my visit then, I also treasured my trip to Sun Studio. After all, it was there it all started. And like Elvis, I paid to make a record. 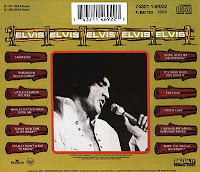 But, unlike Elvis, I had to choose a karaoke track of a song and then record my own voice to it on a CD. I thought "Walk A Mile In My Shoes" was a proper choice and was led into a tiny cubicle at the back of the studio. In the cubicle there was a TV-screen mounted in one of the upperhand corners showing the lyrics, and in front of me stood a microphone. The girl at Sun who was helping me out told me I had one practice run before doing the actual recording. Man, it was hot in that cubicle, and sweat was pouring down my back as I started to sing, "If I could be you, if you could be me, for just one hour..." Still, I thought it went pretty well. So well, in fact, that I asked my "engineer" if I could record a short poem ("Men With Broken Hearts") before she played the actual karaoke track. "No problem," she answered helpfully, "just start when I knock at the door to the cubicle." 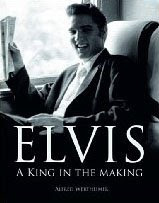 So, there I was, not only trying to sing like Elvis, but also to talk like him! Anyway, it went OK the second time around as well, and I got my record. 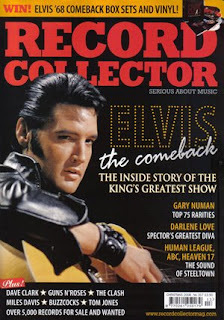 And though it never will be as famous as the one Elvis did there back in 1953, it was, and still is, a great souvenir from my time in Memphis. Do you want to hear it? Click here to play the song.